Home » Tips for Students » Could choosing the wrong university cost you that great job ? So how are you choosing which university to go to? Good nightlife? Nice location? Great reputation? All your mates are going there? And what about the subject you are thinking of studying? You liked it at school? It sounds like fun? It might lead to an interesting career? There are all sorts of things to consider when choosing which university and which course is right for you. But don’t forget to think about life after graduation . Going to university is a major investment nowadays and you need to think of the return you can expect at the end of those 3 or 4 years. In other words, how employable will you be in your chosen field and how much might you earn? 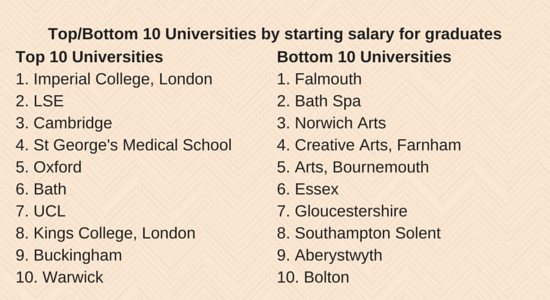 Which Universities do employers value? For some jobs, where you went to uni and what you studied may be important but not necessarily crucial. 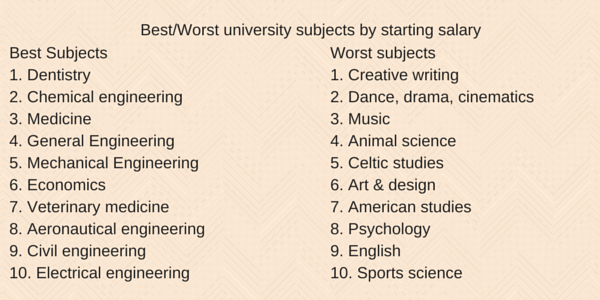 But you should know that for some leading employers, not all universities are equal. With over 150 universities and colleges offering degree-level qualifications, some of the UK’s leading employers choose to focus on a small number only. According to High Fliers Research almost two thirds of these companies target just 20 universities or less when looking for graduate talent. 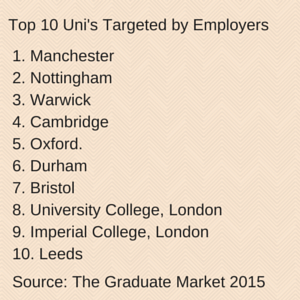 And check out which universities they target: Manchester, Nottingham and Warwick top the list. Another great source is The Complete University Guide which looks at a range of measures when assessing universities, including Graduate Prospects- and the difference between the worst and best performers is startling: 88% of leavers at Cambridge take up employment in graduate level jobs or full time study compared to only 44% at London Metropolitan. Does the University work closely with employers? Those universities that attract leading employers do so by ensuring that their faculties and careers departments work closely together. So when selecting universities for your shortlist look at their employability record and at their Open Day, make sure you ask questions about their links with employers. Ask about the jobs taken up by recent graduates and whether the faculty in question gets direct approaches from major businesses. 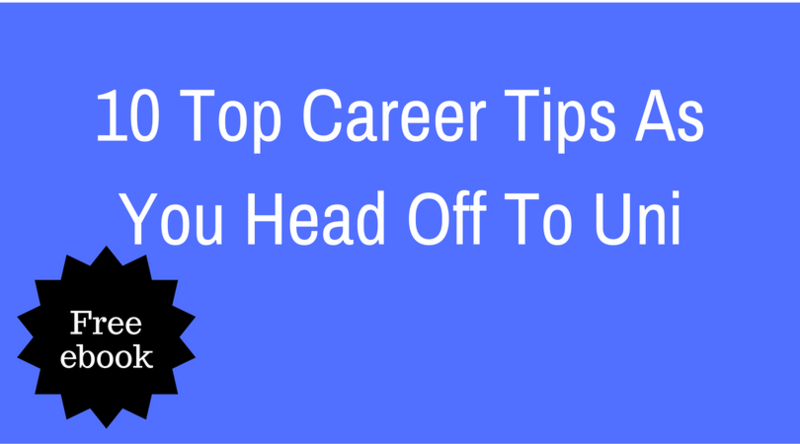 What you study can matter too, especially if you don’t have a specific career in mind yet. With increasing numbers of students studying arts and humanities, jobs for graduates in these subjects won’t necessarily command a premium, as the data above from the Higher Education Statistics Agency shows. If you’re an aspiring arts student, which university you choose could be a critical factor in how employable you’ll be when you leave. Of course you want to go somewhere where the night life is great, accommodation is affordable and you can get home to do your washing but don’t let these things distract you from the really important things . Do your research thoroughly: check the league tables, ask demanding questions at the Open Days, check out Employers’ websites and see which Universities they visit. Use LinkedIn to see which Universities are favoured by people doing the type of jobs you might be interested in. Still need help in deciding which course or career may be right for you? Check out bestcourse4me.com.